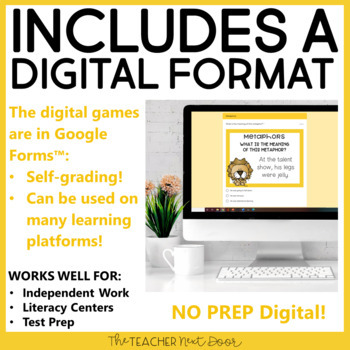 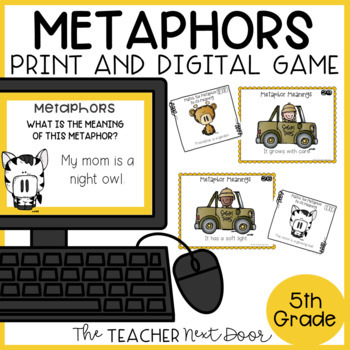 This Metaphors Game will give your students an engaging way to practice using this figurative language by playing a fun matching metaphor game with a safari theme! 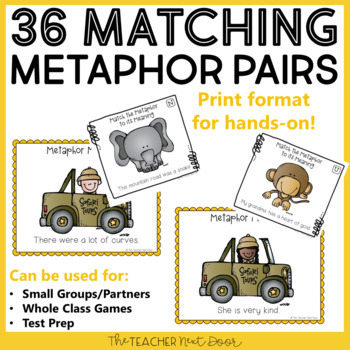 The Metaphors Game has students matching animal cards with metaphors to safari jeep cards with metaphor meanings and it works well as a language center, for whole class reinforcement, for test prep, for one on one, and more! 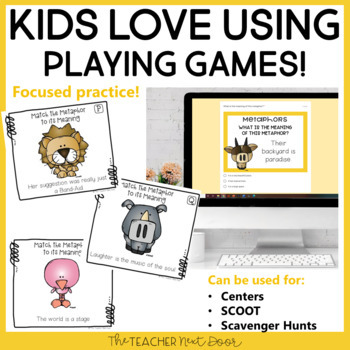 This game has a fun sorting game format.